Wounds involving extensive tissue trauma are common in equine practice. Wounds of the distal limb are particularly difficult to manage due to poor circulation, joint movement and minimal soft tissue cover (Derham and O’Leary, 2017). Where possible, primary closure is ideal but is rarely successful due to the aforementioned points and also excessive contamination and tension (Alford, 2012). Traumatic wounds are usually managed by secondary intention healing. As a result, these wounds may be difficult to heal, with obvious financial and welfare implications. Manuka honey has antibacterial properties making it an ideal component of treatment to prevent infection and aid formation of granulation tissue, thus accelerating the healing process. In a time where we face worldwide resistance to antibiotics, Manuka honey will become more useful in wound healing (Dartet al. 2015). The use of honey for medicinal purposes dates back to 2100-2000BC (Almasaudi et al. 2017). Its potential for accelerating wound healing has been of particular interest in recent times, which is largely due to its antimicrobial properties. These properties are attributed to its high osmolarity, acidity and hydrogen peroxide content (Carnwath et al. 2014). In recent years, the mechanisms of activity of Manuka honey have been elucidated, revealing superior wound healing properties as it contains a non-peroxide component that offers greater antimicrobial action (Scagnelli, 2016). Manuka honey is a monofloral honey produced from the nectar of the Manuka bush or tea tree (Leptospermum scoparium), which is indigenous to New Zealand and southern Australia (Almasaudi et al. 2017). Like other honeys, Manuka honey creates a favourable environment in the wound, promoting a healthy bed of granulation tissue, thus decreasing wound-healing time (Scagnelli, 2016). When bees are digesting nectar to produce honey they remove the majority of the water content, leaving an 80% sugar solution consisting mainly of glucose and fructose. The remaining water is tightly bound to the sugars and is not available to the microorganisms, thus discouraging growth (Dart et al. 2015). The high sugar content of honey gives it a high osmolarity. This creates a moist wound environment due to the creation of an osmotic gradient initiating fluid shifts from surrounding tissues and circulation into the wound. This inhibits bacterial growth due to the hypertonic conditions leading to lysis of bacterial cell walls (Dart et al. 2015) and also removes contaminants from the wound. The presence of this fluid dilutes the honey causing activation of glucose oxidase, producing a low-level release of hydrogen peroxide. This is a sporicidal antiseptic which stimulates natural proteases derived from neutrophils. These are responsible for the digestion of proteins thus facilitating natural debridement (Hollis, 2010). However, this action is short-lived as, due to its osmotic effect, high levels of wound exudate are produced, which quickly dilutes the honey to the point where it is no longer viable. During the digestion process enzymes are added, notably glucose oxidase. Glucose oxidase converts glucose to gluconic acid which gives honey a pH of between 3.2 and 4.5 (Dart et al. 2015). This is too acidic an environment for antimicrobial activity, thus inhibiting microbial proliferation. The low pH contributes to antimicrobial effects as well as promoting wound healing through acidification. These characteristics are what give honey its antimicrobial property. The high viscosity of honey also contributes to this property as it helps provide a protective barrier against entry of organisms, preventing infection. Honey also contains antioxidants which help to protect the wound tissue from potential damage caused by free oxygen radicals released by inflammatory cells (Dart et al. 2005). Figure 1: Action of Manuka honey. Manuka honey has been shown to exert a topical broad-spectrum antimicrobial action, effective against over 60 strains of bacteria of both gram positive and gram negative, including resistant strains such as Methicillin resistant Staphylococcus aureus (MRSA) (Abd El-Malek et al. 2017; Hollis, 2010). Manuka honey also has a unique antimicrobial activity not due to hydrogen peroxide. While honey derived from other plant sources can be inactivated quickly due to dilution, Manuka honey contains phytochemicals passed down from the Leptospermum scoparium tree which allows it to maintain its antimicrobial action after dilution (Hollis, 2010). This is further enhanced by the presence of methylglyoxal (MGO) in Manuka honey produced from dihydroxyacetone in the nectar of the Manuka flower (Scagnelli, 2016; Carnwath, 2014). Dart et al. (2015) reports that MGO is responsible for most of the antimicrobial activity of Manuka honey. This non-peroxide antimicrobial activity of Manuka honey is referred to as its Unique Manuka Factor (UMF). This is a standardised rating system for measuring the level of antimicrobial potency of Manuka honey on a scale from 5-26. The higher the UMF grade, the greater the antimicrobial activity (Hollis, 2010). As the UMF grade rises, so does the price and it can become very expensive. Various studies have shown that a rating of 10 or more is usually all that is required to provide sufficient antimicrobial activity in the wound environment (Dart et al. 2015; Carnwath, 2014). This is useful to know when there are financial constraints, as using a lower UMF may ease financial burden without risking failure of treatment. Table 1: Overlapping phases of wound healing, adapted from Caldwell (2014) and Hettlich and Burba (2014). Bacterial biofilms have been known to delay wound healing (Jorgensen et al. 2017; Dart et al. 2015). In wounds to the equine distal limb, biofilms may result in chronic wound healing which can lead to development of exuberant granulation tissue (EGT). Microorganisms form these biofilms where they stick together and to the wound bed. They show increased tolerance to host defences meaning the horse’s immune system cannot attack them. Studies have shown that these resilient microorganisms also show resistance to both systemic and topical antimicrobial treatments as they are secure and protected within the biofilm. Abd El-Malek et al. (2017) report that Manuka honey has antimicrobial activity against common equine wound pathogens which have the potential to form biofilms. These include methicillin-sensitive Staphylococcus aureus (MSSA), methicillin-resistant Staphylococcus aureus (MRSA), Pseudomonas aeruginosa and Klebsiella pneumoniae. Although most interest is focused on its antimicrobial property, more recent evidence indicates that Manuka honey also has an anti-inflammatory effect. Firstly, it has the ability to modulate the initial inflammatory reaction. This is achieved by the increase in production of inflammatory cytokines in leukocytes which modulate fibroblast proliferation and angiogenesis (Scagnelli, 2016; Dart et al. 2015; Carnwath et al. 2014). This aids the growth of new epidermal tissue and blood vessels, thus encouraging the formation of healthy granulation tissue and in turn epithelisation; accelerating wound healing. However, for this effect to take place the Manuka honey would need to be applied as soon as possible after injury. This is contraindicated until arterial bleeding or haemorrhage has been controlled as Manuka honey may encourage further haemorrhage (Caldwell, 2014). Secondly, the Manuka honey reduces inflammation by actively drawing exudate and lymph out of the wound tissues and associated micro-capillaries, thereby physically reducing swelling, inflammation and the symptomatic pain associated with the anti-inflammatory response (Hollis, 2010). Table 2: Manuka honey dressings available on the Irish market. Adapted from Dechra Veterinary Products (2018) and Advancis Medical (2014). Table 3: Tips for using medical grade Manuka honey, adapted from Hollis (2010). Contaminated, sloughing necrotic wounds, which need ongoing debridement combined with antimicrobial action to promote healthy granulation tissue are suitable (Hollis, 2010; Molan, 2009). The use of Manuka honey is contraindicated in horses with a known allergy to bee venom and where there is uncontrolled haemorrhage. Manuka honey is not a miracle cure; it is simply good at aiding debridement and decontamination. Timing is crucial when using it to treat wounds. Wound-healing is a process (Table 1) and Manuka honey is only useful during certain periods. It seems to work best when applied as soon as possible after the wound occurs, ideally within 24 hours (Dart et al. 2015). This is the inflammation phase, where the honey can aid debridement (day 0-4). From day four onwards, the honey will favour wound healing by maintaining a moist wound environment which will support angiogenesis and fibroplasias. These processes will fill the wound deficit and enable wound contraction, thus accelerating wound healing. However, as the repair phase is entered (around day three onwards) the high sugar, low pH environment provided by the honey can be detrimental to the activity of the fibroblasts and may contribute to the formation of exuberant granulation tissue. Each individual wound will therefore need to be closely monitored, and the Manuka honey treatment ceased once it has helped to achieve the aims of debridement (Hollis, 2017). Case studies described by Hollis (2010) excellently demonstrate the use and application of various medical grade Manuka honey-impregnated dressings individually suited to the needs of each type of wound. There are a number of these Manuka honey dressings and products available on the Irish market (Table 2). The lowest UMF grade Manuka honey should be used based on the level of bacterial contamination. Where bacterial contamination and tissue trauma is substantial (such as in wounds of the heel bulb), Manuka honey with a UMF of >15 should be used (Bischofberger et al. 2013). However as previously mentioned, as the UMF grade rises so does the cost and clients should be notified of this before use. Once applied, the dressing should be secured in place with a suitable bandage. See Figure 2 for the correct way to pick up and apply the dressing to maintain its sterility. There are conflicting opinions regarding how long a dressing with Manuka honey can be left in place on a wound. Recommendations range from more than one bandage change a day to the bandage being left on for days at a time. Hollis (2017) reports that as long as there is Manuka honey available on the dressing in contact with the wound, and there is no exudate soaking through the overlying bandage, the dressing can be left in place as long as five days. Ultimately, every wound is different and depending on its location and level of bacterial contamination, exudate levels will vary and wear-time will need to be adapted to suit. Realistically, the first application will need to be changed sooner as this is when the osmotic action of the honey will coincide with the peak activity of the inflammation phase and this will result in a high level of exudate. Like other honeys, Manuka is a natural product meaning it is near impossible to standardise. Dart et al. (2005) highlight this, reporting that honey can be influenced by many factors such as the species of bee producing the honey, its geographical location (species of flower/plants) and storage conditions. Manuka honey found in chemists and supermarkets may have the UMF mark on their packaging stating they are genuine 100% Manuka honey, however they are still only prepared for food purposes. These products are at risk of containing particles of wax and debris which would render them unhelpful in wound healing as they would trigger a foreign body immune response leading to prolonged inflammation and therefore, increase healing time (Hollis, 2010). More importantly, commercially available Manuka honey is likely to contain dormant fungal and bacterial spores. Both Carnwath (2014) and Hollis (2010) express particular concern about the risk of Clostridium botulinum which is a common find throughout nature and within honey. Although the Manuka honey will prevent microbial proliferation while in its full concentration, the risk will only be fully eradicated if sterile honey is used. Medical grade Manuka honey available to veterinary practices is filtered to remove debris and beeswax and is sterilised by gamma irradiation (Hollis, 2008). Heat sterilisation must not be used as it will inactivate the glucose oxidase enzyme which is necessary for the anti-inflammatory and antimicrobial properties of the honey (Hollis, 2010). A recent study undertaken by an Irish PhD student (Kavanagh, 2018) has revealed that Irish heather honey, which is another monofloral honey, has similar physiochemical properties to that of Manuka honey. This may be an option in wound management in cases where there is financial constraint. However, further study is necessary in its use in wound treatment as it has not yet been developed into a medical grade honey. When used correctly, Manuka honey can be beneficial in accelerating healing in wounds of the distal equine limb. When used as a topical antimicrobial, it has the potential to combat some of the challenges associated with wounds of the distal limb by providing anti-inflammatory and antimicrobial action. The recently developed medical grade UMF Manuka honey products provide a safe and potent antimicrobial effect able to challenge common equine pathogens, even some resistant species. This article will hopefully provide a basic protocol to follow when using Manuka honey to treat wounds. However, as new studies are conducted, this protocol will need to be updated. Abd El-Malek, F.F., Yousef, A.S. and El-Assar, S.A. (2017). Hydrogel film loaded with new formula from manuka honey for treatment of chronic wound infections. Journal of Global Antimicrobial Resistance [online], (11). Available from: https://www.sciencedirect.com/science/article/pii/S2213716517301546 [accessed 2 March 2018]. Advancis Medical. (2014). Product Range: Activon – Manuka Honey dressings [online]. Available from: http://www.advancis.co.uk/products/activon-manuka-honey [accessed 16 April 2018]. Alford, C.G., Caldwell, F.J. and Hanson, R.R. (2012). Equine Distal Limb Wounds: New and Emerging Treatments. Compendium [online], 34(7). Available from: http://www.vetfolio.com/surgery/equine-distal-limb-wounds-new-and-emerging-treatments [accessed 18 March 2018]. Almasaudi, S.B., Al-Nahari, A.A.M., Abd El-Ghany, E.S.M., Barbour, E., Al Muhayawi, S.M., Al-Jaouni, S., Azhar, E., Qari, M., Qari, Y.A. and Harakeh, S. (2017). Antimicrobial effects on different types of honey on Staphylococcus aureus. Saudi Journal of Biological Sciences [online], (24). Available from: https://www.sciencedirect.com/science/article/pii/S1319562X16300870?_rdoc=1&_fmt=high&_origin=gateway&_docanchor=&md5=b8429449ccfc9c30159a5f9aeaa92ffb [accessed 1 March 2018]. Caldwell, F. (2014).How to select an appropriate wound dressing.The Veterinary Nurse [online], 5(2). Available from: file:///C:/Users/D00182821/Downloads/How%20to%20select%20an%20appropriate%20wound%20dressing%20-article%20(2).pdf [accessed 9 March 2018]. Carnwath, R., Graham, E.M., Reynolds, K. and Pollock, P.J. (2014). The antimicrobial activity of honey against common equine wound bacterial isolates. The Veterinary Journal [online], (199). Available from: https://www.sciencedirect.com/science/article/pii/S1090023313003262 [accessed 1 March 2018]. Dart, A.J., Bischofberger, A.S., Dart, C.M. and Jeffcott, L.B. (2015). A review of research into second intention wound healing using manuka honey: Current recommendations and future applications. Equine Veterinary Education, 27(12), pp.658-664. Dart, A.J., Dowling, B.A. and Smith, C.L. (2005).Topical Treatments in Equine Wound Management. The Veterinary Clinics of North America, Equine Practice, 21(1), pp.77-89. Dechra Veterinary Products. (2018). Products [online]. Available from: https://www.dechra.co.uk/search/search?q=algivon [accessed 16 April 2018]. Derham, A. and O’Leary, J.M. (2017). Equine limb wound management. Veterinary Ireland Journal, 7(2), pp.65-67. Hettlich, B.F. and Burba, D.J. (2014). Wound Management and Bandaging. In: Bassert, J.M. and Thomas, J.A., eds. McCurnin’s Clinical Textbook for Veterinary Technicians. 8th ed. Missouri: Saunders Elsevier, pp.973-995. Hollis, G. (2008). Wound management products; ‘advanced’ dressings. Veterinary Nursing Journal [online], 23(11). Available from: https://www.tandfonline.com/doi/pdf/10.1080/17415349.2008.11013743?needAccess=true&instName=Dundalk+Institute+of+Technology [accessed 18 March 2018]. Hollis, G. (2010). Manuka honey: an effective wound healing environment. The Veterinary Nurse, 1(1), pp.42-49. Hollis, G. (2017). Manuka honey: Is it still the bee’s knee’s? 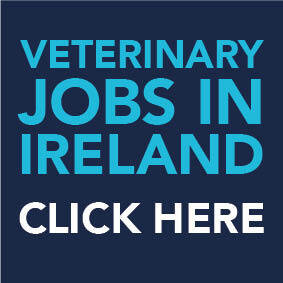 Veterinary Practice [online]. Available from: https://veterinary-practice.com/article/manuka-honey-is-it-still-the-bees-knees [accessed 18 March 2018]. Jorgensen, E., Bay, L., Bjarnsholt, T., Bundgaard, L., Sorensen, M.A. and Jacobsen, S. (2017). The occurrence of biofilm in an equine experimental wound model of healing by secondary intention. Veterinary Microbiology, 204(3). Available from: https://ac.els-cdn.com/S0378113517301943/1-s2.0-S0378113517301943-main.pdf?_tid=42a1168e-6716-484e-b812-a7eae1efd9d1&acdnat=1521212208_0300a2b69779f6b3d6c844c89be3fa6f [accessed 16 March 2018]. Kavanagh, S., Gunnoo, J., Passos, T. M., Stout, J. C., and White, B. (2018). Physicochemical properties and phenolic content of honey from different floral origins and from rural versus urban landscapes. Food Chemistry [online] 272(2019). Available from: https://www.sciencedirect.com/science/article/pii/S0308814618314365 [acessed 03 September 2018]. Molan, P.C. (2009). Debridement of wounds with honey. Journal of Wound Technology, 5, pp.15-17. 1. Which of the following is a unique key property of Manuka honey? 2. At what stage of wound healing is Manuka honey most helpful? 3. What kind of wound is Manuka honey NOT suitable for? 4. What is the risk of continuing Manuka honey treatment into the repair phase? Answers: C, A, B, B, D.